The difference between an 'outing' and an 'adventure' is often determined by the type of fun you have. When a jubilant outing turns into suffering, that’s usually when the adventure begins. Some people describe that part of the journey as 'type-two fun,' which is not fun while it’s happening, but will hopefully seem so later. 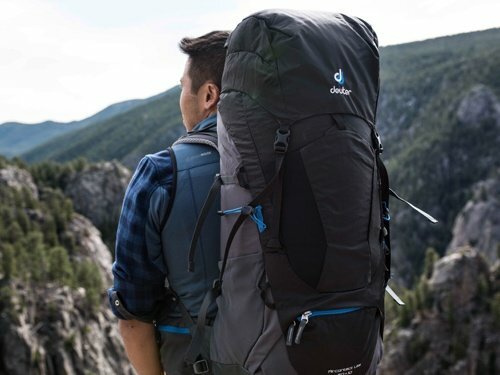 A truly great outdoor adventure includes just the right amount. Crafting challenges that embody fitness beyond four walls is what I do. 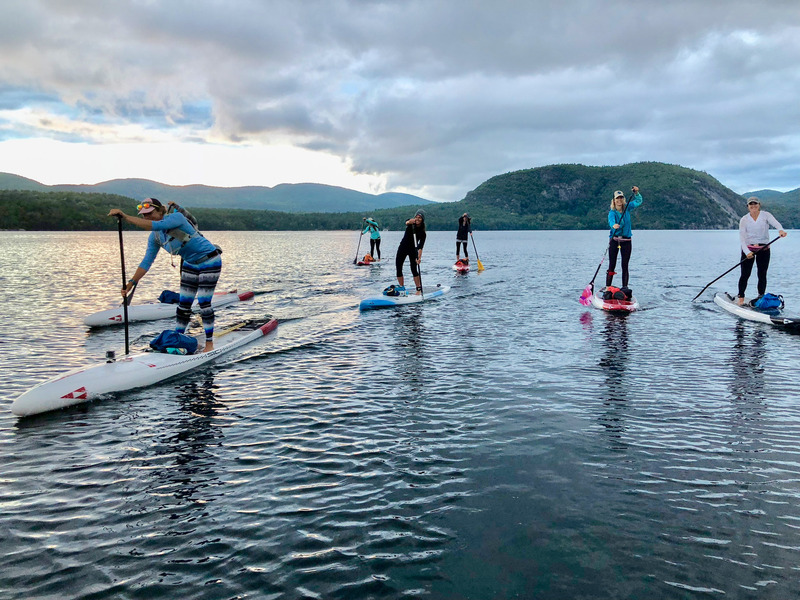 I’ve made it my business to connect like-minded fitness enthusiasts interested in exploring through outdoor adventure sports like paddle boarding, rock climbing, ice climbing, surfing and more. Adventures with type-two fun, and the mental and physical rewards that come with it, are a big part of my fitness challenges. If I were to package and deliver a purely type-two adventure, I would be out of business. The real challenge for any outdoor guide is to present the uncomfortable moments as teaching and learning opportunities, while prioritizing safety and wrapping up the whole package with a giant bow of fun. Achieving that balance is not always easy, but it is rewarding. 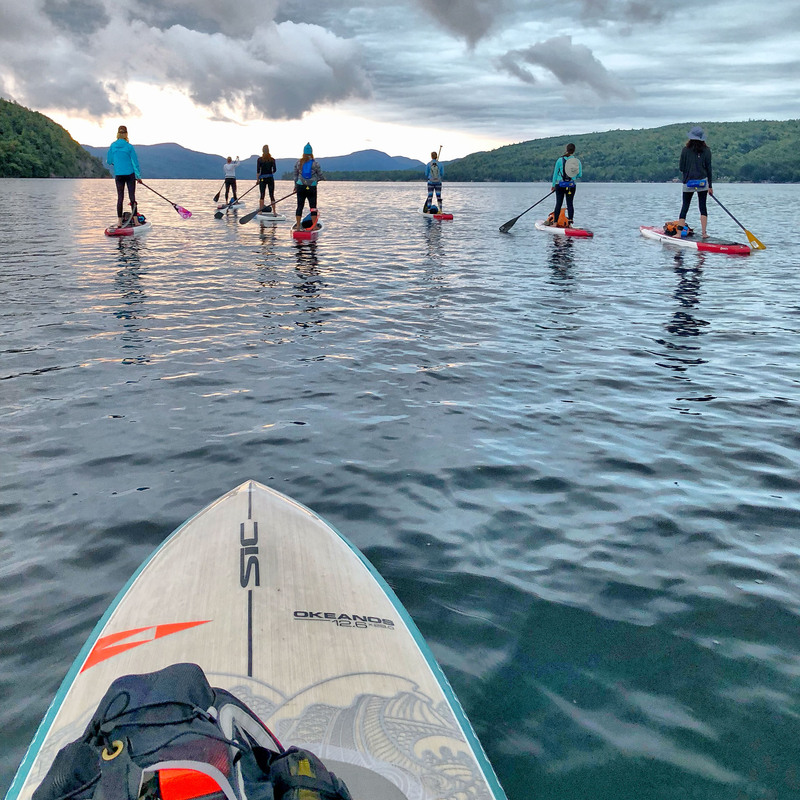 The goal of my recent Paddle-to-Climb adventure on Lake George, which lies at the base of the Adirondack Mountains in upstate New York, was to provide seven women that kind of experience. The weekend's plans included camping, stand-up paddling 25 miles and a 500-foot climb. I was honest in describing the difficulty of this trip to the group—only two had paddled substantial distances, and all had climbed no higher than 75 feet. This trip would push their boundaries, but I was confident that each of the women had the skills and grit required. It also seemed likely that each of them would be quietly regretting their choice at some point. There is a type-two moment in many adventures when everyone gets quiet as the struggle becomes real. During the paddling portion, it happened around the seven-hour mark as we battled a steady 15-knot head wind. The forecast had predicted winds at our backs. 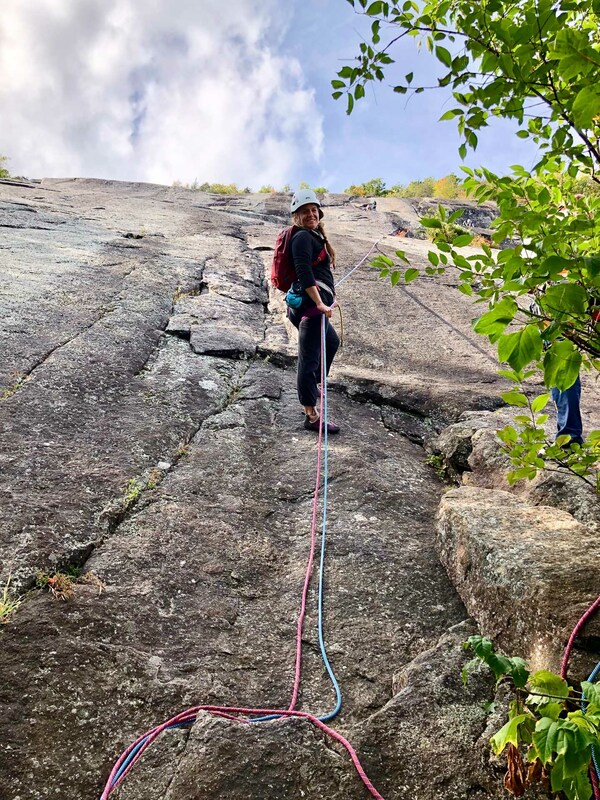 It happened again on the second pitch of the climb, when muscles fatigued from the previous day’s paddle kicked in and, realizing there was no turning back, the ladies powered through the mental battle of literally reaching new heights. Insert those regrets here. The amount of time that passes between the end of a type-two fun and the inevitable 'Hell Yeah' moment varies. Over dinner after the paddle, proud stories of struggling upwind started to surface—a sure sign the moment was approaching. For others, it emerged accompanied by a sigh of relief, as their bodies relaxed while rappelling down after the climb. The most obvious 'Hell Yeah' came during the paddle back to our campsite after the climb, as the weekend came to an end. The smiles grew bigger and, after we’d landed, the moment was finally delivered in full force, followed by requests for next year’s Paddle-to-Climb dates. Plans with new challenges immediately started whirling in my mind.